In 2015 when South African investigative TV programme Carte Blanche revealed that host of rare game animals had been donated to private farm owners in South Africa’s North West Province, public outrage ensued. Not surprisingly, for the gift, that included 50 white rhino, was worth some R183 million and was made under highly questionable circumstances. Now, Parliament’s Environment Portfolio Committee says the transaction was conducted illegally and undermines transformation, and has called for criminal charges to be brought against the officials responsible. Parliament’s Environment Committee has called for criminal charges against top North West officials following a R183 million donation of rare wildlife species to ‘politically connected’ private farm owners. It said the donation undermined transformation, did not follow conservation principals and was rushed through by those in power. North West Rural, Environmental and Agricultural Department recently donated high-value game species worth R183,190,830 to persons who are alleged to be politically connected. According to the committee report, the donation was pushed through by the MEC, Manketse Tlhape, who called for more species to be added to the tally, despite being advised otherwise by her Chief Conservation Officer. She did not advertise for the contract or take transformation issues into account. She even admitted that she had not fully complied with the BEE equity targets for the transaction. The donation came after the North West Parks and Tourism Board received an unsolicited request in November 2014 for wildlife donations to the South African Rare Game Breeders Association (SARGBA) of 210 buffalo, 210 sable, 210 roan and 630 nyala. According to the Committee’s report, Mr Mack Magodielo, Chief Conservation Officer at the time, suggested that only 50 buffalo, 20 sable and 10 nyala be considered for the donation. Despite being advised that the remaining populations in the respective parks and reserves would be rendered unviable, the MEC herself requested a donation of 130 buffalo, 50 sable, 50 white rhino and 15 nyala. In certain cases, provincial parks were even emptied of specific species for the donation, a move which the Committee criticised strongly. “The Committee considers it irrational that the Department recommended emptying some of its parks/reserves of certain species due to poaching threats when they could not ensure the security of those same species in SARGBH facilities. It is unacceptable that the SARGBH Project was being seen as an avenue for the Department to absolve itself of the responsibilities for protecting those species,” states the report. This approval for the donation also occurred when the animals had already been in SARGBH facilities for nearly a year, leading the Committee to state that, “The Department appeared to be under some form of compulsion from the onset.” In addition the report shows that the transaction was conducted under an old policy which was, according to the Committee, “at best misleading, worst false.” This policy was never formally approved and both the date for the approval of the policy and the authority that sanctioned the approval of the said policy were indeterminate, or non-existent. In conclusion the Committee found the role the MEC played to be questionable, calling for a reversal of this process and the necessary steps to be taken to further investigate financial irregularities and establish criminal liability. We are constantly trawling the web for articles and information that will expand our knowledge and understanding of Africa. Newsroom is an ongoing aggregation of those features and posts that we think will be of interest to our followers. A billion dollars a year to save Africa’s wildlife? 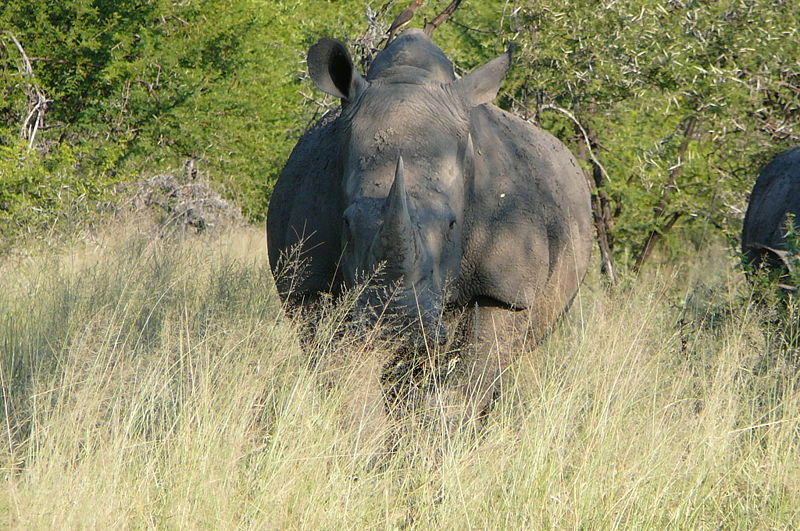 Two black rhinoceroses reintroduced into Chad’s Zakouma National Park found dead.